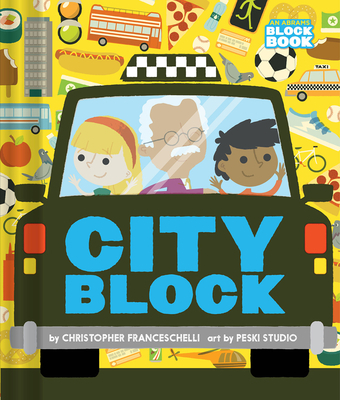 Christopher Franceschelli is a seasoned publisher, editor, and creator of children’s books. He runs Chronicle’s Handprint imprint and the SmartInk packaging company. A born-and-raised New Yorker, Franceschelli lives with his family in Brooklyn. Peskimo is a husband-and-wife illustration and design team. They live in Bristol, England. "A big urban adventure in a small package." "Children in urban settings will recognize this city's feel, while suburban or rural children will be equally happy to join in the adventure." "This cleverly designed board book will delight young readers and grown-ups alike."